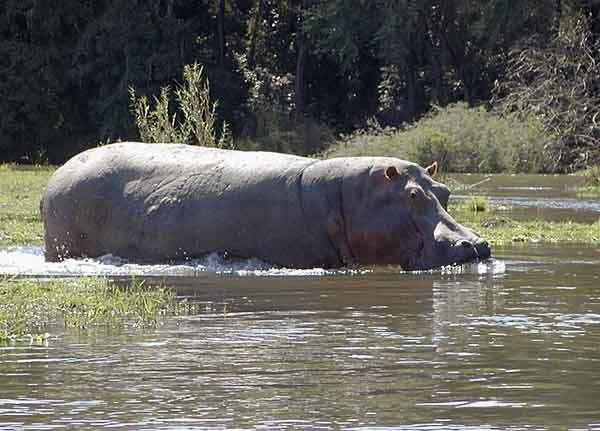 Caption: Hippo wading into the safety of deeper water from riverbank, Lower Zambezi National Park, Zambia. Camera: Olympus C2100 UZ digital camera with 10x zoom lens. Location: The Lower Zambezi National Park is situated on the northern bank of the Zambezi River in Zambia.